I’m sure you’re well aware of all the articles, celebs, and style gurus gushing about the wonders of coconut oil. They’re all ranting and raving. What I noticed, however, was no one is explaining exactly HOW to use this “holy grail” of beauty products. I ran into a few roadblocks on my path towards coconut heaven, and I wanted to share those with you! Coconut oil is not some special beauty product at a department store. You buy it at the grocery store! Yup, the grocery store. It comes in a glass or plastic jar and will be sitting alongside all of the other cooking ingredients. What you want to look for is the UNREFINED coconut oil. While refined will get the job done, unrefined is purer and is supposed to have more of the natural goodness still contained within it. It costs the same, so there’s no downside. Also, don’t be alarmed when you open it. Chances are, your coconut oil will be a white solid. Do not panic, people! This is totally normal. Coconut oil has a very low melting point. Scrape a little into your hand. It’ll begin to melt almost instantly. It also smells delicious! Now that you know how to buy it and what it looks and feels like, let’s get into its uses. Makeup artists regale us with tales about the powers of coconut oil to remove makeup. What do they mean, thought? Eye makeup only? All makeup? Do I mix it with water? Here are some of the basics to removing makeup with coconut oil. One of the pitfalls people fall into is wetting their face prior to applying coconut oil. If you do this, the coconut oil won’t be able to come into contact with your makeup and dissolve it. Remember, oil and water don’t mix. You need to apply the oil directly onto you dry, unwashed, fully-made-up face. By applying this oil directly to the makeup on your face, it will dissolve the oil- and silicone-based makeup on contact. Seriously, apply it on one eye and keep the other eye open. As you massage it gently around your eye, you can see all the mascara, liner, and shadow begin to come off into a muddy mess. Very satisfying. Massage the oil into your face and anywhere else you might have applied oil- or silicone-based cosmetics or sunscreen (such as around your neck, decollété, and even ears!). Massage for about a minute to ensure that all of your makeup and sunscreen has been dissolved into the oil. Now, you need need need a gentle washcloth or muslin cloth. You can buy muslin cloths in packs online. They’re more gentle than terry cloth washcloth, which can be harsh on skin. Here’s where you can add water. Some say you can just merely wipe it off. I personally find that hella gross. It does not sufficiently get all the oils and gunk off of your face, and it feels nasty. Get your cloth thoroughly wet and begin to gently wipe the oil/makeup sludge off of your face. Wipe. Rinse the cloth. Wipe. Rinse the Cloth. Repeat until you can remove all of the oil you can. Your face will feel soft and slightly slick, but it shouldn’t feel super slippery. Only if your skin is super, duper dry can you stop here. Coconut oil can cause even those with normal skin to break out. Almost everyone should use a water-based cleanser after this cleanse to remove the excess coconut oil and makeup still clinging to your skin. Read my article about how to fully and properly cleanse your face using this double cleansing method here. 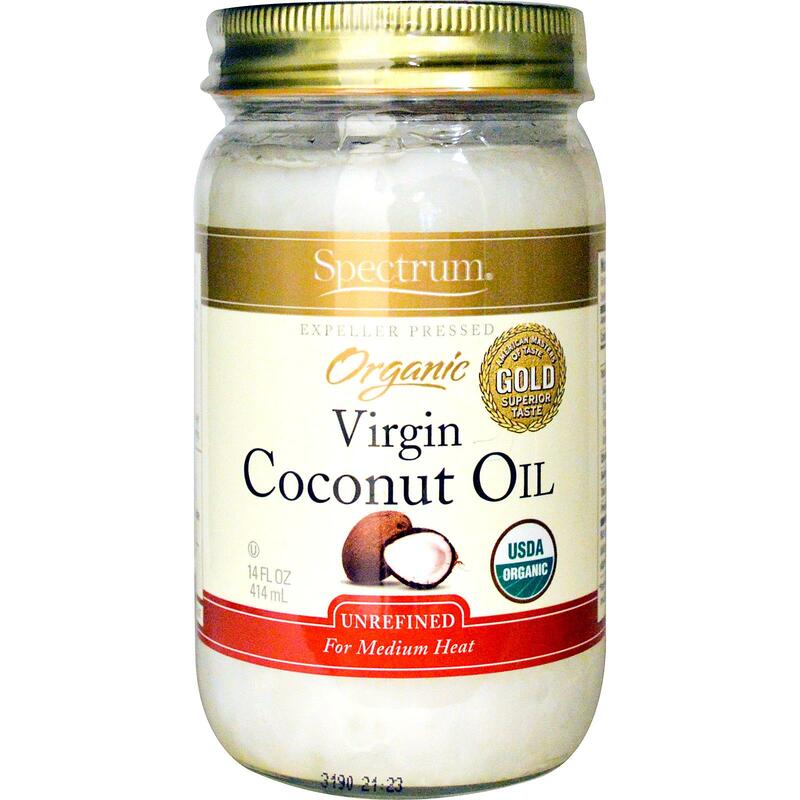 Coconut oil, like any oil, is great at sealing in moisture for hours. You can use it on your face and body, but I should warn that those who are oily or acne-prone should use caution, as coconut oil can lead to breakouts. You can slather ir directly on your face and body, but it’ll leave you slick for quite a while. A better method? Mix a teensy bit with your body or face moisturizer and apply all over. This reduces the risk of accidentally applying too much. It’ll boost the moisturizing ability of your lotion, which is great if your skin is too dry and hate the feeling of Vaseline or Aquaphor all over. Coconut oil is fantastic for hydrating your hair, because it’s able to sink deep into the hair, more so than other conditioners. It’s a godsend for those of you with dry, damaged, dehydrated, coarse, and/or curly hair. Just like when you’re using it to clean your face, make sure you apply coconut oil with dry hands to DRY hair. This way, it can seep into the hair without water blocking it. If your hair gets greasy or limp at the roots, only apply it midshaft to ends. If your hair could use some love all over, apply it from roots to tips. Let it sit as long as you can. I slather it all over my curly locks, put on a shower cap, and sleep in it. Super attractive, I know. It works great, though. Just make sure that you use a rather potent shampoo when washing it out. We’re always told to steer clear of sulfates, which cause the shampoo to foam and strip hair of dirt and oil. Since sulfates work so well at removing oil, however, they can be too harsh on hair and dry it out. You may co-wash or use a no-poo type of shampoo without sulfates. If you do, make sure you have a shampoo on hand that does have sulfates in it to help remove the super-potent coconut oil. I know, sulfates are bad, but I tried using my super gentle shampoo, and it didn’t entirely remove the coconut oil from my hair. I spent the next day walking around with super greasy locks. No bueno. If your hair is fine or limp, coconut oil might be too strong for you. I’d recommend putting a bit of coconut oil on the ends of your hair and letting it sit for at least 15 minutes or overnight. Then wash it out the next morning by using a shampoo with sulfates and following up with your conditioner. So there you are. Now you’re fully educated on some of the basic ways to use coconut oil in your beauty routine. Look at you, smartypants.